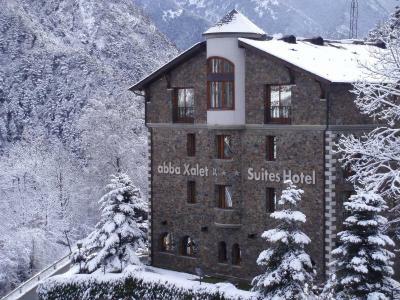 Lock in a great price for Abba Xalet Suites Hotel – rated 8.4 by recent guests! 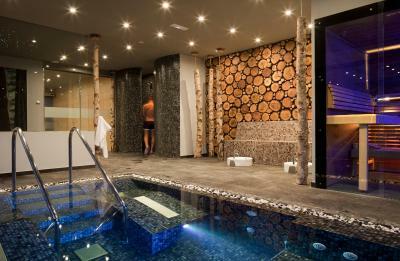 The receptionist on the afternoon in the spa building on April's the 20th gave us a delightfull service. She helped us to find a proper place to have dinner, she called by herself to ask which kind of options did the places had that could accomplish our constrains (group of 3 with 1 vegan and 1 vegetarian) and gave us feedback and indications. Amazing! The hotel is excellently positioned away (but minutes)from the city. 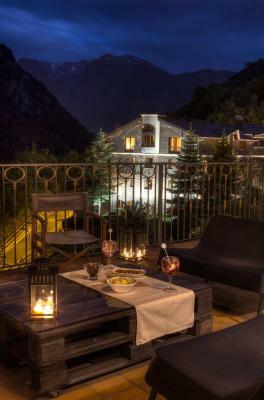 It has excellent views and the rooms are amazing. It's a very cozy place! 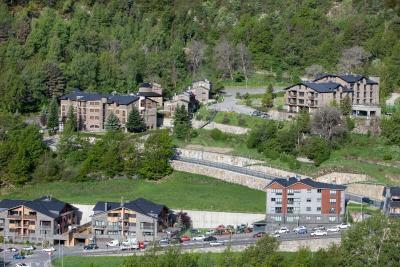 The view was amazing and the location is very nice indeed: very convenient to explore Andorra by car. 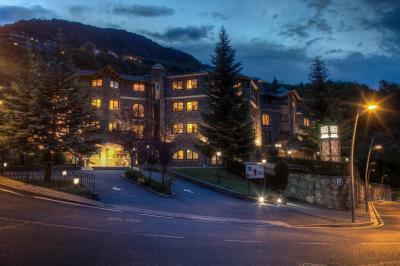 I can definitely recommend this hotel and when I come to Andorra again I would love to stay in this hotel again. Really nice hotel. Views are beautiful. Spa is amazing. 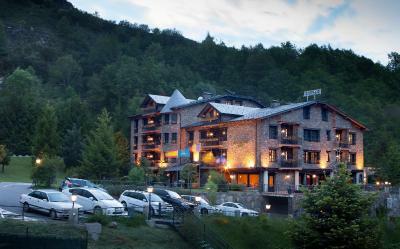 We really loved this hotel - perfect for our family ski trip! We weren’t able to get half board but the staff were super helpful booking restaurants and taxis for us for dinner! The shuttle is excellent, because it’s quite a walk to the gondola but we also used local buses which was fine. 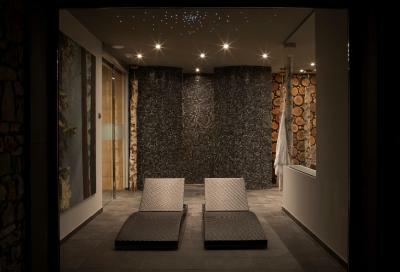 The spa was extremely welcome after a day on the slopes and we really appreciated the one hour slot which avoided crowding. The bar is very welcoming and at the press of a button a friendly staff member serves at any time, again very welcome at the end of the day. 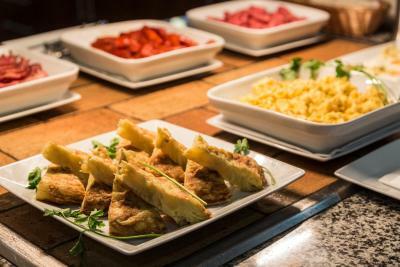 Breakfast was great, plenty of choice and decent coffee machine. If the room had had tea and coffee making facilities it would have been nice, and free water would also be a nice touch, but these are minor points and we will return next year! Thank you! This hotel have a free Kids club, so if come with the kids, you can have 3 hours of freedom to do your shopping or go to the spa. 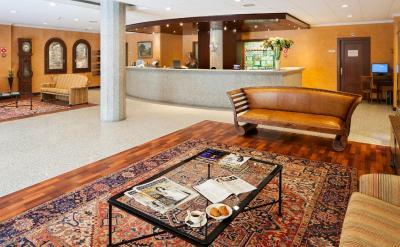 Abba Xalet Suites Hotel This rating is a reflection of how the property compares to the industry standard when it comes to price, facilities and services available. It's based on a self-evaluation by the property. Use this rating to help choose your stay! 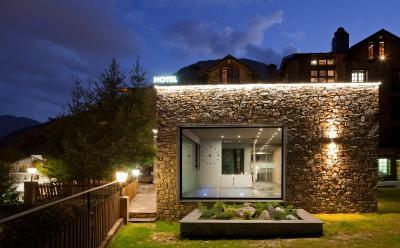 Abba Xalet Suites Hotel is in the La Massana area of Andorra, half a mile from the Massana-Pal cable car. 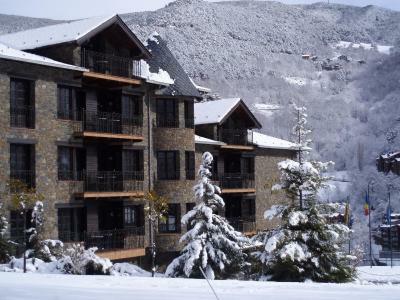 It has rooms with mountain views, free Wi-Fi and satellite TV. 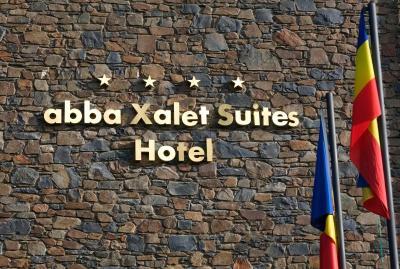 All rooms at the Hotel Abba Xalet Suites come with central heating and the private bathrooms have a hairdryer. 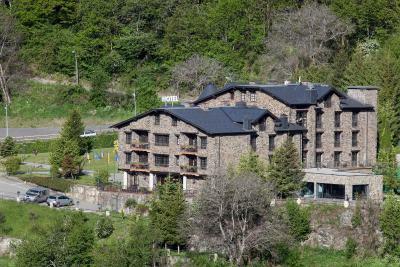 Vallnord ski resort is one mile from the Abba Xalet Suites. Sispony’s main shopping street is a 5 minute drive away. This property also has one of the top-rated locations in Sispony! Guests are happier about it compared to other properties in the area. 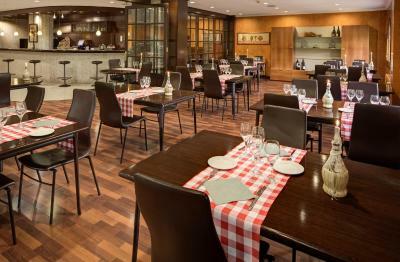 When would you like to stay at Abba Xalet Suites Hotel? 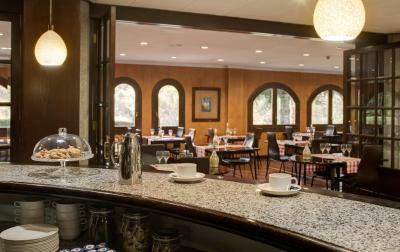 In the Xalet building, these bright rooms have superb views of the hotel pool and garden, or the town of Aldosa-Anyos and its Romanesque San Cristóbal Church. There is one double bed or 2 single beds, free Wi-Fi, a work desk and reading corner. A roll-away bed is provided for one child under 12 years old. These large rooms have 2 rollaway beds. The rooms have one private bathroom, free Wi-Fi, a desk and satellite TV. 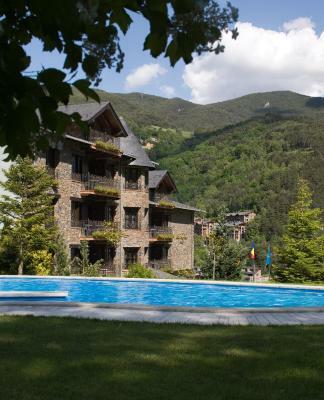 In the Xalet building, these bright rooms has superb views of the hotel pool and garden, or the town of Aldosa-Anyos and its Romanesque San Cristóbal Church. There is one double bed or 2 single beds, a work desk and reading corner. They have free Wi-Fi and satellite TV. 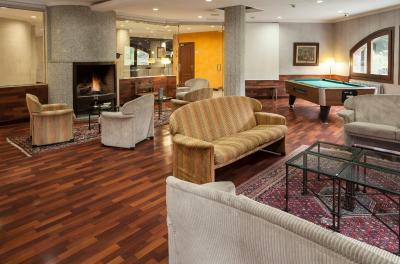 In the Suite building, suites have a living room with flat-screen TV and a double sofa bed. The bedroom has a double bed with natural feather pillows. There are 2 bathrooms; one with a shower and the other with a bathtub. They have free Wi-Fi, a desk and satellite TV. 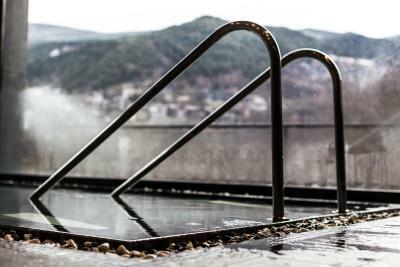 Located in the Xalet building, these bright rooms offer superb views over the hotel pool and garden, or the town of Aldosa-Anyos and its Romanesque San Cristóbal Church. There is 1 double bed or 2 single beds, a work desk and reading corner. They include free Wi-Fi and satellite TV. 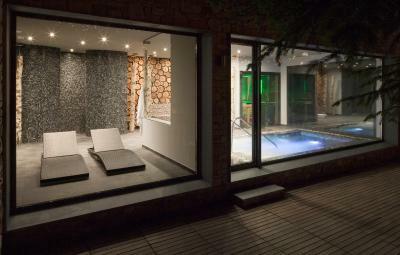 These rooms include free access to the spa, 1 hour per day per person. This family room features a mini-bar and satellite TV. 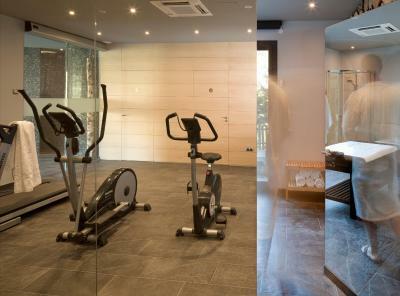 House Rules Abba Xalet Suites Hotel takes special requests – add in the next step! 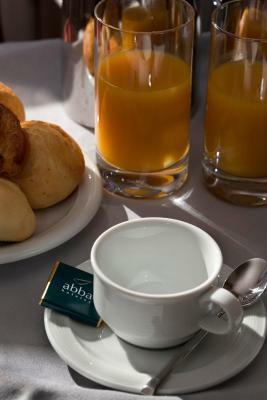 Abba Xalet Suites Hotel accepts these cards and reserves the right to temporarily hold an amount prior to arrival. Please note guests must be aged 16 years or over to enter the spa. 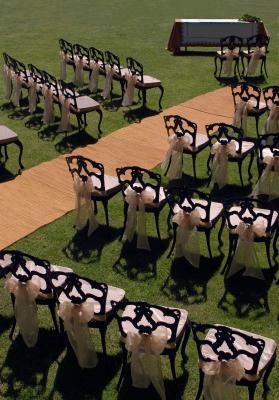 Please note that there is an extra charge, payable at the property, for spa use. Please note that the spa is open from 16:00 to 21:00. The staff seemed to have more important things to do than look after non Catalan/Spanish/French speakers. The cleanliness of the room and bathroom. Can't have much more to say, unless: keep on going with the remodeling process. The place is amazing and is becoming better every year. As usual, this property is an excellent value for the money. 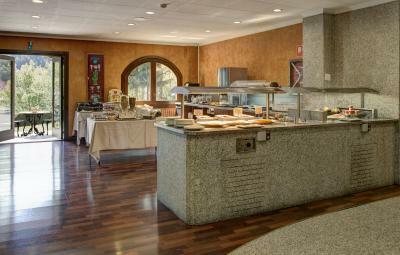 The staff exceeded all the expectations, including the only request to have a special type of room. The restaurant staff and the menus are excellent, as usual. The remodeling of the entrance was an excellent surprise. Clean, staff were very friendly and helpful. Breakfast was plentiful but bacon, eggs and sausages cold. Sunny side up eggs are incredibly unappetizing when cold. I also had to send back an evening meal because the fish was again stone cold. Reception staff very helpful as well as the drivers.